I just stumbled across this video and it put a smile on my face and an itch in my leg to go for a ride. I hope it does the same for you. Just remember they are talking about riding bikes not just road bikes. This particular video is highlighting a race team but, the message still stands. 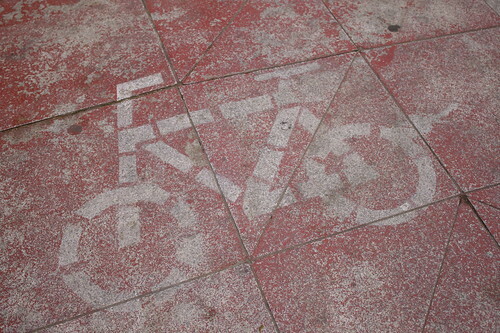 The world would be a little nicer if we all road our bikes. Do you know anybody down there that might be willing to volunteer to help out with the bike summit on April 29th? We’re in pretty desperate need of some volunteers. Anybody who volunteers gets free admission to the event. We’re hoping that we can juggle volunteers so they only have to work half of the day, then can attend the sessions during the other half. Sounds like a good deal to me. Give a little time and be front and center for the biggest event that has to do with bicycle advocacy in Utah, for free. If you are interested send Travis an email at tjensen@bikeutah.org. And always if you want to go to the summit but do not want to volunteer you can go here and sign up. 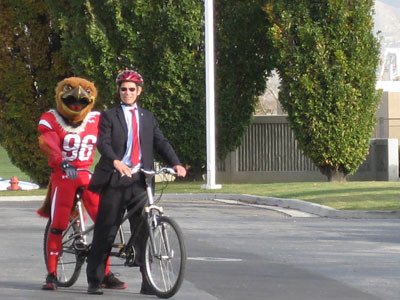 “The Utes won last year’s rivalry game, so Provo Mayor John Curtis (because BYU lost) and Salt Lake City Mayor Ralph Becker (because he’s nice) will bike approximately 50 miles from Provo to Salt Lake City, starting at the Provo City Center, 351 W. Center St., in Provo. There will be an opening ceremony at 10 a.m., with the bike ride starting at 10:30 a.m. It will end when all participants arrive at the Salt Lake City and County Building, 451 S. State St., in Salt Lake City. If you’re just getting started riding or you need some tips on safely cycling as a form of transportation, don’t miss the free class this Wednesday. The class will be held at the Orem Mad Dog Cycles (360 East 800 South, Orem) from 6:30-7:30 p.m.
Come one, come all to the Mad Dog Cycles Monday Night Family Ride. Tomorrow’s ride is the third of the season and should be a blast for everyone. 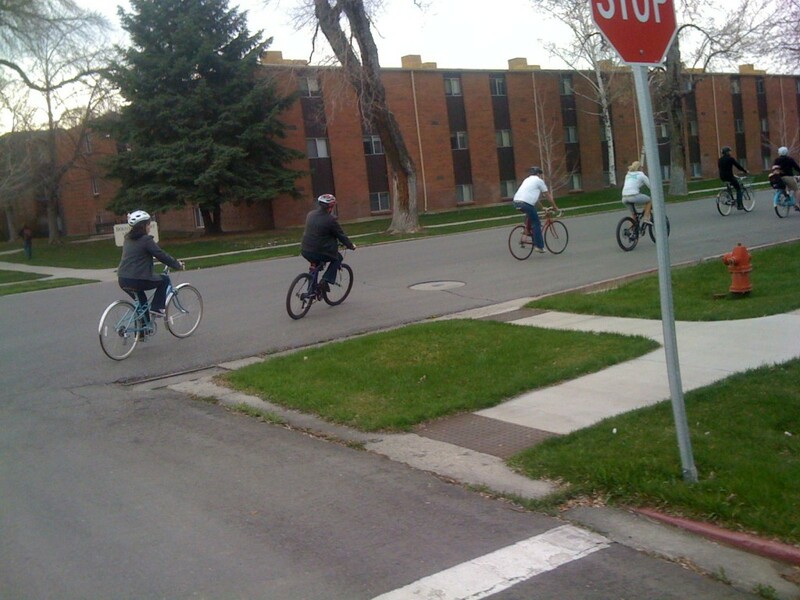 Meet April 18th in front of Provo’s Mad Dog Cycles (450n 900e) at 6:00 p.m.
“Grab your bicycle, your closest family (friends count you do not need kids or a marriage license), and get ready for a fun ride. 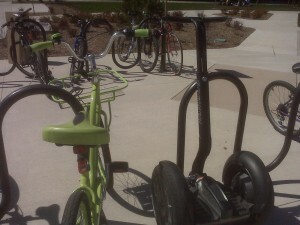 We will be riding from the Provo shop to a nearby park where we will meet up with the ride that will be coming from Orem. These rides have a nice slow pace so the little ones can keep up and everyone can have a great time. See all you Provoites there. 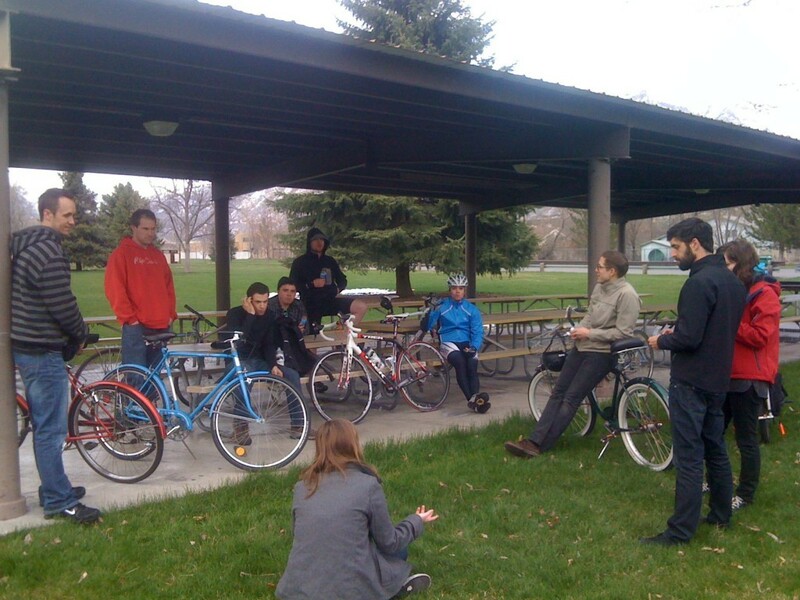 This Thursday is the perfect day for a bike committee meeting. Come and help us plan some great events and make Provo an even better place to ride a bike! During this meeting we’ll be discussing: Bike to Work Week, committee funding options, bicycle outreach and more. 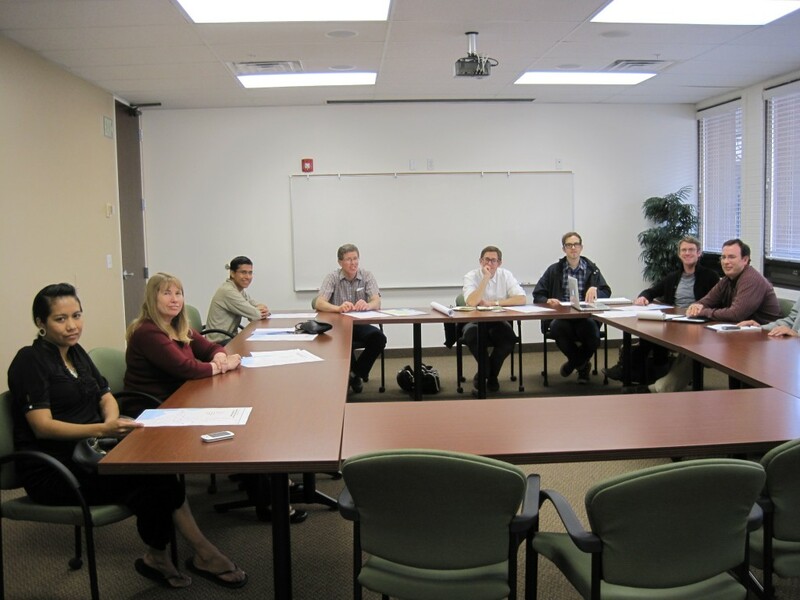 Have friends, neighbors, or co-workers that are interested in the committee? Bring them along! Everyone is invited. Monday Night Family Ride TONIGHT! Last week’s Monday Night Family ride was a lot of fun, and tonight you have another chance to take advantage of the nice weather with a casual, friendly ride. Meet tonight in front of Provo’s Mad Dog Cycles (450n 900e) at 6:00 p.m.
It’s a beautiful day and this ride is the perfect way to start your cycling season! See you tonight!